How can the majority again spoil it for others. 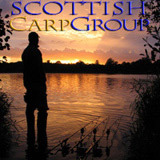 Really bad news for as said the "decent anglers"
All that'll happen is the buckfast and bubble float brigade will disappear to another easy access loch and hack the local and decent visitor anglers off there and the legit anglers at lomond etc will get driven away and the businesses will suffer! Decent anglers and the businesses they support suffer for the knobs and yobs!